It’s hard to believe that it’s almost time for the Minnesota State Fair. With nearly 2 million attendees last year, it’s one of the biggest fairs in America so it’s best to be prepared. Here is your guide to getting the most out of this year’s fair. Pre-Fair discount tickets are on sale now through August 26th for $10. You can purchase these and the Blue Ribbon Bargain Books for additional fair savings at several locations throughout the Twin Cities. 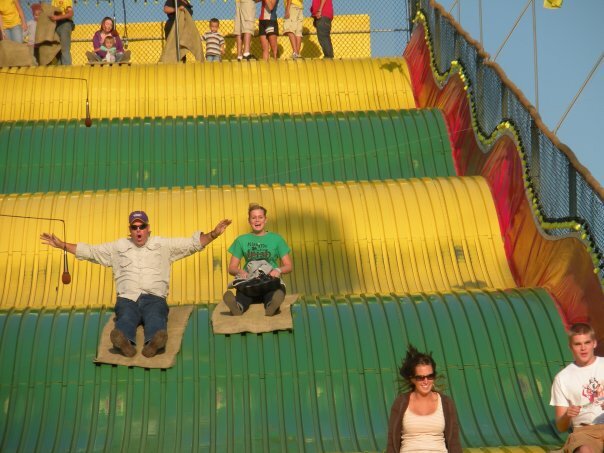 Come fair time, admission prices jump to $13 per person with several discount days throughout the week. There are activities for all ages spread out across the 360 acres of the fair. They’ve got it all, from amusement rides on the Midway to educational attractions such as the Alphabet Forest and Math on a Stick. You can also visit animal and agriculture exhibits where you can see baby animals and learn about the latest improvements in sustainability. Throughout the fair there are several stages with free non-stop concerts across every genre. When the sun goes down, the Grandstand hosts the big names. This year’s shows include Carrie Underwood, Keith Urban, The Avett Brothers and Def Leppard. Food is the main attraction at most fairs and Minnesota goes all out. 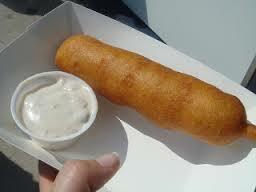 We are notorious for putting our fair foods on a stick and this year is no exception. There’s macaroni and cheese on a stick, teriyaki ostrich on a stick, deep fried s’mores on a stick and they even creatively managed to get beer on a stick. Of course in true Minnesota fashion, they have Tater Tot Hot Dish on a stick as well. Every year brings creative additions to the fair menu. 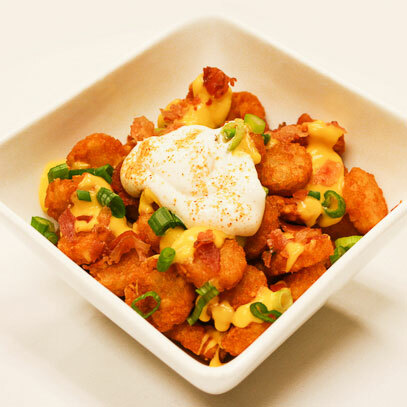 This year’s highlights will include Totchos (nachos using tater tots instead of chips), maple bacon funnel cake, kimchi n’ curry poutine, and Minnesota wild rice Benedict Muffin. The fair runs from August 27th through Labor Day. You can find more information about the Minnesota State Fair here. Our best advice? Go with a group of friends willing to share food so you can save money and calories while still trying a little bit of everything. Bring comfortable shoes and an elastic waistband to enjoy the epitome of Minnesota. We’ll see you there!